If you’re a fan of shooters and you’ve been looking forward to the next mega release in the genre from EA and DICE, then odds are you’re going to want to sit down. 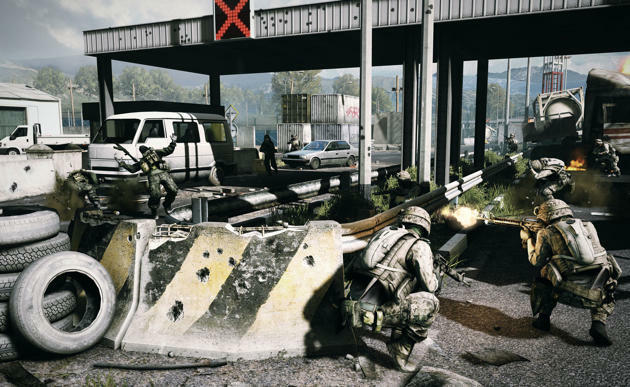 It’s time to take in the full details for each and every multiplayer mode set to ship with Battlefield 3. The way Battlefield multiplayer maps work has always gone something like this: there are a small number of maps (relatively speaking), but DICE splits them up and breaks them down in unique ways to make for a variation in gameplay across several modes. So, one map may be presented in six different ways thanks to new boundaries, objectives or obstacles. Long standing classic Battlefield game modes Conquest and Rush are back in Battlefield 3, together with interesting new additions to make this our broadest and deepest Battlefield yet. From the close quarters infantry combat of Team Deathmatch and Squad Deathmatch to objective driven all-out vehicle warfare – Battlefield 3 has it all. All of the 9 huge multiplayer maps in Battlefield 3 adapt to all 5 game modes, effectively giving you 45 distinctly different multiplayer experiences to choose between. Do you smell that? That’s variety. And it doesn’t even account for all the madness DICE and EA are sure to unleash by way of DLC after this game launches. Battlefield 3 is set to release for the PC, PlayStation 3 and Xbox 360 on October 25th, 2011 in the States.